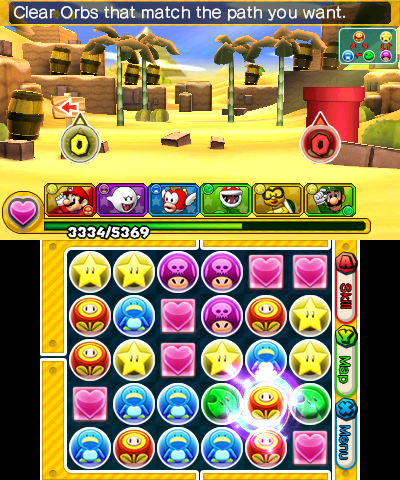 Puzzle & Dragons released on the Nintendo 3DS last month in a dual release. One part of the $30 retail or digital package was Puzzle & Dragons Z, but that's not what we're going to deal with today. 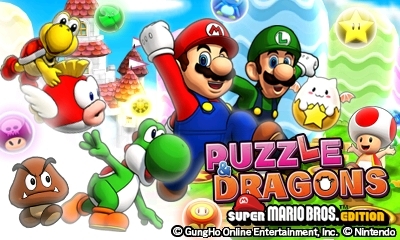 Instead, Bean is going to be talking about the other half of the package, Puzzle & Dragons: Super Mario Bros. Edition. Here's his take on the game, a nice break from reading my thoughts of games all of the darn time! Note: All I did with this review was format it, as well as add pictures and captions. Bean did the brunt of the work! Puzzles & Dragons is a game by GungHo Online Entertainment that took the world by storm when it was released on mobile devices a couple of years ago. Nintendo, in their effort to try and partner with many third-party companies decided to lend out the Super Mario property for a 3DS title. It's an interesting idea, trying to take what was a freemium game and making it into not one, but two games inside a $30 3DS cart. As it turns out, this is actually a pretty decent idea. This review, however, will only be covering the SMB Edition of the game. A potential further review will be made for Puzzles & Dragons Z, the other game on this cart, at a later date by Phil. 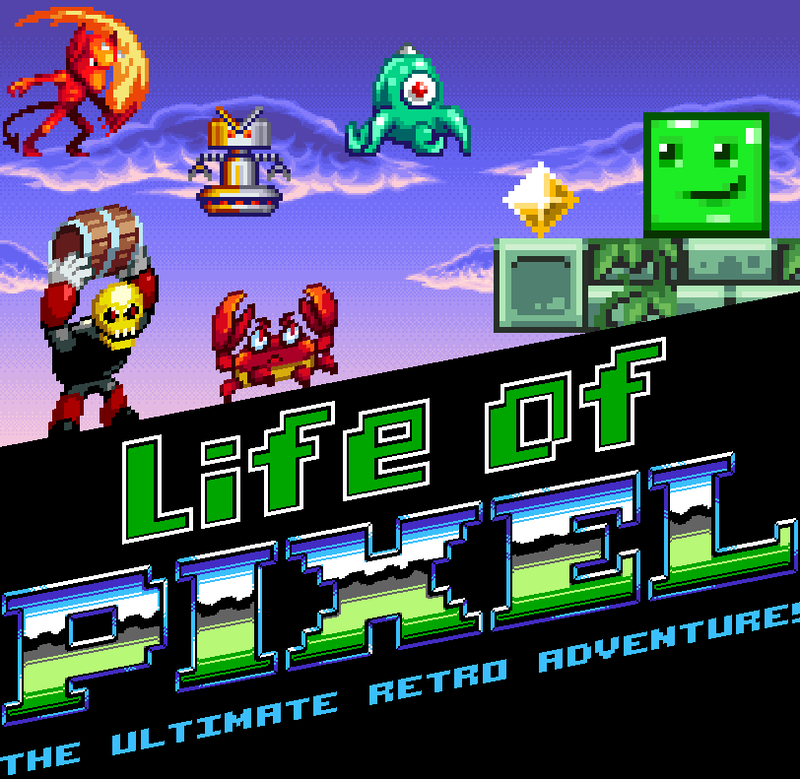 For now, let's get right to Nintendo's first mobile-esque foray, and from the look of things, a rather fun one. 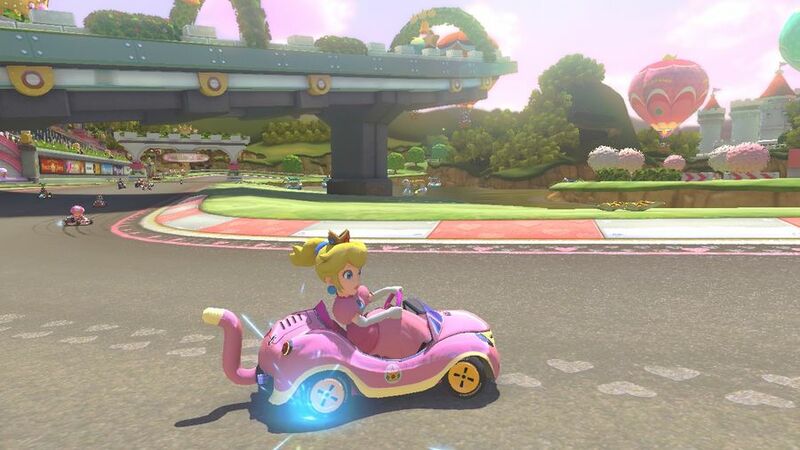 Mario and Luigi are once again on a quest to save Princess Peach yet again from the clutches of Bowser. That's no surprise, but the thing is that tons of orbs have descended down into the Mushroom Kingdom from out of nowhere. Rather than dispensing justice with their usual Goomba-stomping tactics, the Mario Bros. are instead going to be shuffling around said orbs on a puzzle board to make their way through the game's eight worlds and save the day. The maps themselves should give off vibes of the New Super Mario Bros. games. 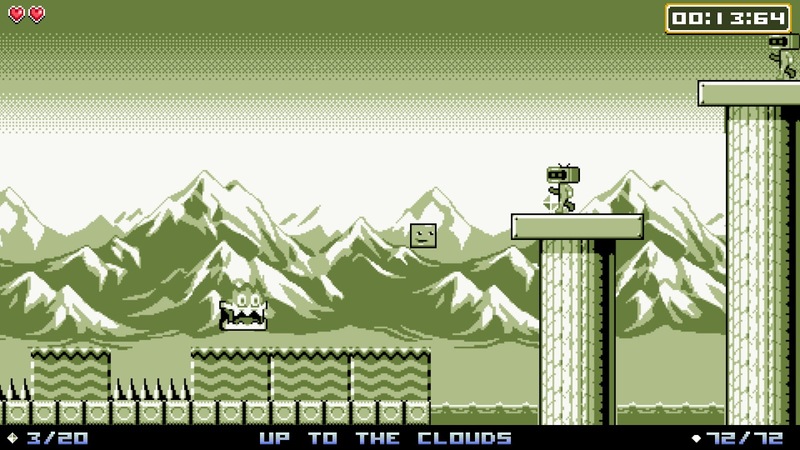 The music takes some cues from that title but also mixes in a few tunes from Galaxy, 3D World, and a few others from stuff like NSMB that has been remixed. It's nothing special, and it is kind of jarring to switch soundtracks, especially when it happens in mid-level. 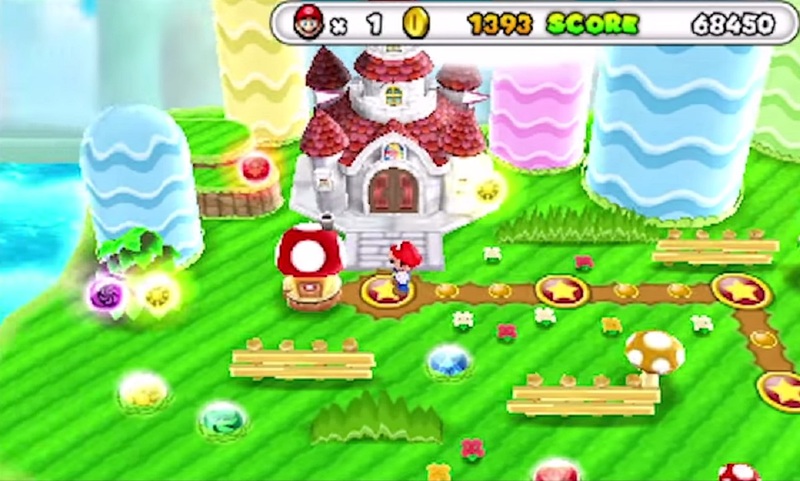 Still, if it's Mario music you want, this game has quite a bit of it. 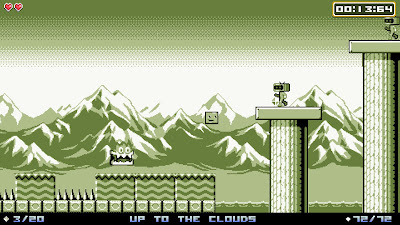 Why, this looks a bit familiar for us New Super Mario Bros. fans. But that doesn't explain how the game works. Well, the board on the 3DS' bottom screen is five orbs high by six orbs wide. Your goal is to take one orb, hold on and drag it across the board to try and make rows or columns of at least three matching orbs together. There are five different elements that these orbs can come in. Fire (Fire Flowers), Water (Penguin Suit), Wood (Super Leaf), Light (Super Star), Dark (Poison Mushroom). Fire beats Wood but loses to Water. Wood beats Water but loses to Fire. As for Light and Dark, they both beat down on each other while doing normal damage to the other three elements. There are also Heart orbs to replenish HP. Both allies and enemies have an elemental affiliation as well as corresponding strengths and weaknesses as a result. Moreover, you're only allowed to attack if you match an element that is your affiliation. 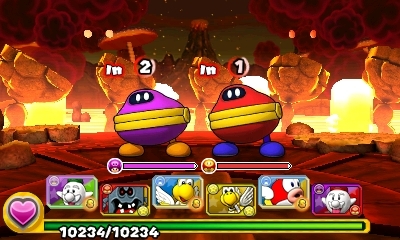 For instance, matching three water orbs together won't do anything if you're playing as Mario, who starts off as Small Mario, because he's a fire elemental. This is where the team aspect comes into play because you aren't alone in your journey. 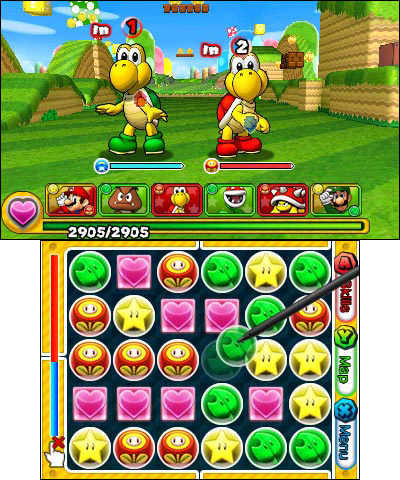 In fact, the game flat-out hands you two Baddie Blocks that contain a Goomba and Green Koopa Troopa that join your team. You'll get more as you defeat enemies along the way. 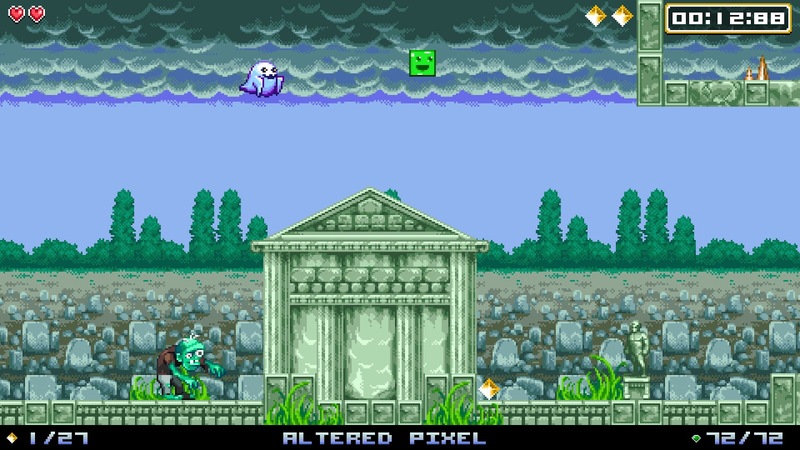 Some allies as well as forms that Mario and Luigi unlock have two elements that they are affiliated with. It's better to bring a few ones like that on your journey instead that have a couple of chances to hit your enemies instead of staying with single-element characters. of this duo of Koopa Troopas). So therefore, it won't take you long to get a full party of six. 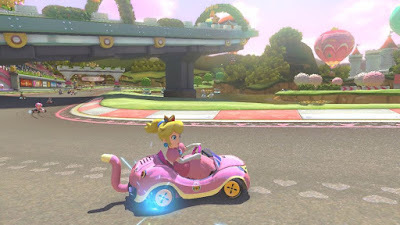 You have one slot for the Leader, whether it be Mario or Luigi (and any of their respective forms that you'll unlock over the course of your adventure such as Fire Mario/Luigi, etc. 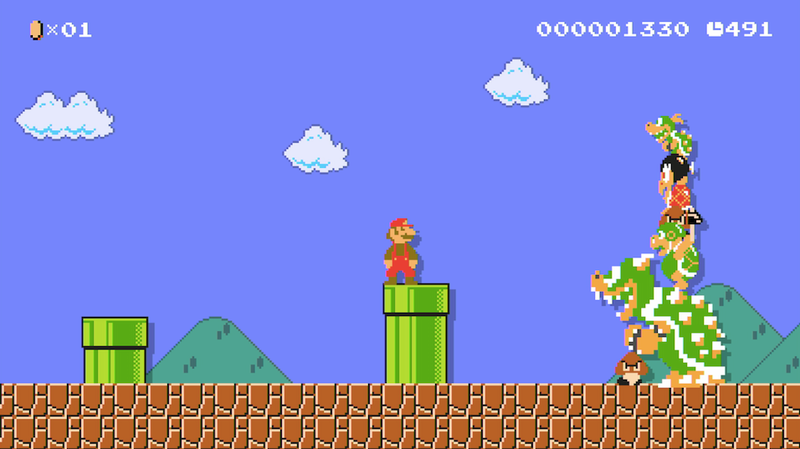 ), four slots for enemies that you convert into allies by getting a Baddie Block, and a Helper slot for either the other Mario brother you didn't choose or Toad and other friends you'll get as you continue along. The best combinations of teams are generally ones that utilize the power of all the elements to make sure you land hits on your enemies instead of just waste your turn. Again, it doesn't do any good to bring a team filled with one element then not go for three-orb rows or columns that don't match the powers you brought along! Some courses also don't use all elemental orb types, so it would be silly to bring in partners that aren't going to be any use for you in that course. It won't take long to learn that it's not enough just to get a small three-orb row or column. The game expects you to get multiple combos per pass, and the more orbs that are connected together, the more punch your team will be packing. 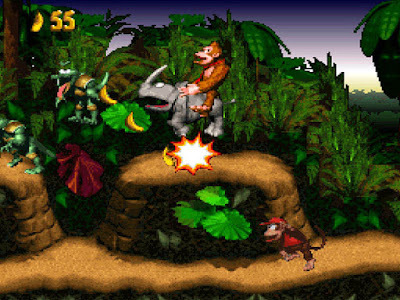 In fact, if you aren't making combos, many enemy groups that you'll face in the game's levels can easily take you down in a couple of turns otherwise! 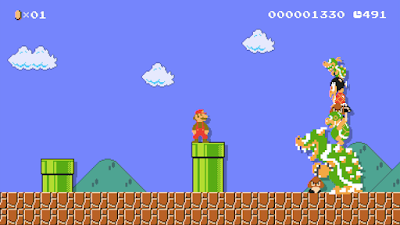 This can also work in your favor as once you get over a combo of eight, a 1-Up Mushroom will appear on the screen. If that combo rises to twelve in a single turn, you'll earn an extra life, and believe me when I say that these will become necessary as you move along. Getting a combo of ten or more also has the benefit of forcing enemies to give you an item drop if they are carrying anything or turns them into Baddie Blocks and another new partner for your team! This might not sound like a big deal if you unlock a duplicate partner like a Goomba, but you will eventually unlock an ability at a Toad House to make them power up the partners you do care to use. My favorite enemies to come across are known as Coin Coffers. If you can get them on your team, a lone one can power up a partner a good twenty levels or so in the early going! That's way better than going through courses and grinding for experience, I'd say, and the difficulty curve of this game definitely tries to encourage that at times. Along with using some allies to power up other allies, you'll also get the chance to transform your friends into more powerful versions, somewhat similarly to how Pokémon does it. Even though transformed forms of allies like the Paragoomba are stronger, it's better to wait until you first reach their level cap to do so. The one thing I don't like about this is that it requires certain item drops, and while some courses have item block puzzles such as lining up five Fire Flower orbs in a row, it's not a guarantee that you'll get the ones you want. Plus, even when you are eventually allowed to spend coins that you win from battles, you're not allowed to just flat-out buy the items you want. Instead, you get a random pickup from one of three item blocks for a whopping 100 coins per use. This is the one aspect of the game that really bogs things down as you'll find yourself grinding not for experience, but rather, money for the potential of the items that you want. I know I went a good world or two before I could transform a partner into a more powerful version because I just didn't have enough items to do so, and when it takes four or more items for each transformation, this can get monotonous and fast. but also experience-wise for other partners on your team. You can also use items to power up skills of characters because each one comes with their own unique ability. Some abilities include being able to instantly attack with 10x damage from one character on all enemies without wasting your orb-shuffling turn. Another one lets you move any orbs for six seconds instead of being stuck with just moving the one around. 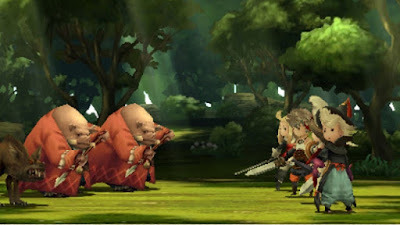 Then there are others that lower defense, raise attack power, shift elements to one or two types instantly... 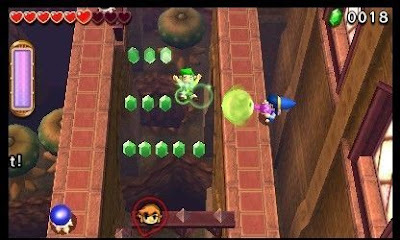 Yes, skills are great to use, but you'll sometimes want to hang on to them for the boss battle that each level contains as it might just be your ticket to victory. In addition to skills, leaders and helpers all have special abilities. Boo Mario and Luigi each have a skill where your attack power will be multiplied by 2.5 times their usual damage output if you can create a three-element combo. 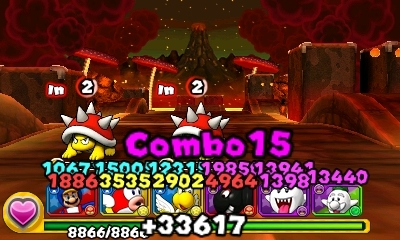 These abilities stack, so if you bring both bros along, your attack power will once more be multiplied to a total of 6.25 times their usual strength. It doesn't take long to take down some enemies like this, and you'll want to keep using upgraded forms instead of sticking with basic ones, even if that means starting from that character's lower level. down one of these two paths. Honestly, while I found repetition setting in at times, I also felt compelled to keep on playing. The game is very good about handling its difficulty curve and trying to get you to play better to handle said encounters more than anything. 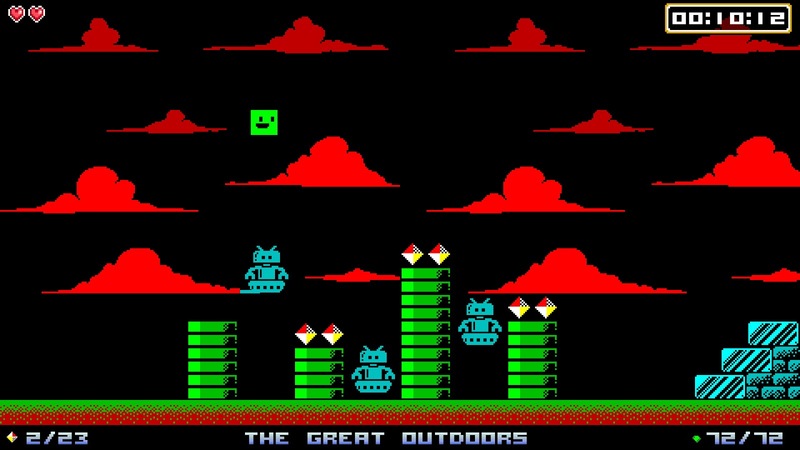 Before I knew it, I had gotten much better at the game and played it for a good thirty hours! The match-three style that Puzzles & Dragons has can definitely be addicting if you can get the hang of it. It's certainly not for everyone, but I do think that there's more than enough fun in trying to mix and match orbs in a speedy manner that it will appeal to plenty. I'm definitely in the group that found this fast-thinking style of gameplay appealing, even if the grindy aspects of item collection try to bog the game down a bit. Still, Puzzles & Dragons: Super Mario Bros. Edition offers you quite a bit of bang for your buck, and it's only half the goodness on this cart. 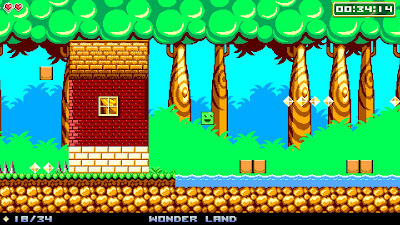 I don't know how Z differs at the moment, but I can say that even on its own, the Super Mario Bros. Edition side is worth it. Today is the much anticipated release of Batman: Arkham Knight for PlayStation 4, Xbox One, and PC. 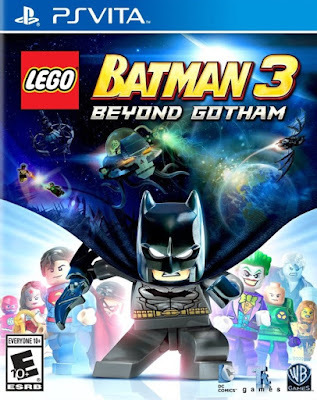 I figured it'd be an opportune time to talk about another type of Batman game that didn't release too long ago, LEGO Batman 3: Beyond Gotham for Nintendo 3DS and PlayStation Vita. While the gameplay and subject matter are definitely nowhere near equal, they both star some version of the caped crusader. Here is my review of the portable version of LEGO Batman 3: Beyond Gotham. It doesn't take a braniac to shrink the earth... Or does it? It's been a tradition that the LEGO games on consoles are much more beefed up than their handheld counterparts. 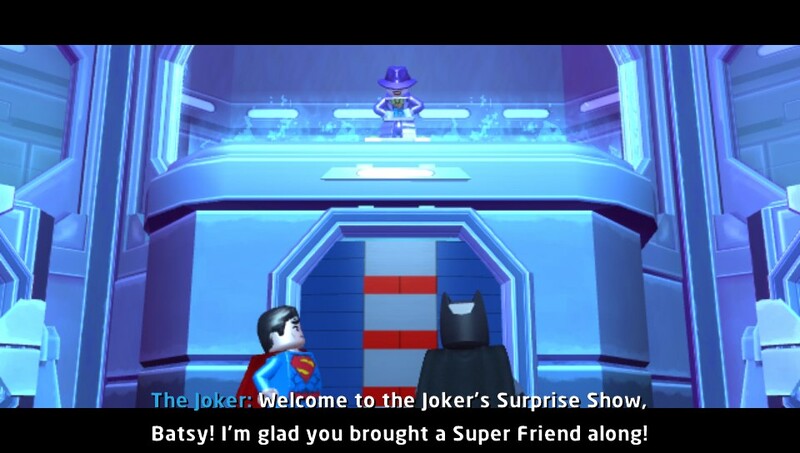 This holds true with LEGO Batman 3: Beyond Gotham. While the console versions are more fleshed out, that doesn't mean you should stick your nose up at the handheld offerings on the Nintendo 3DS and PlayStation Vita. 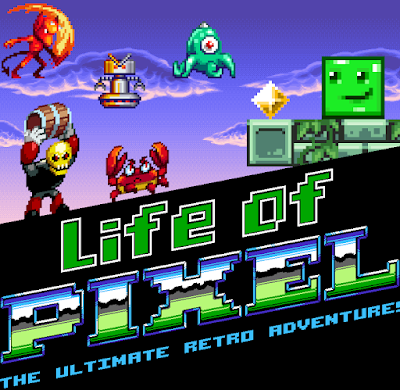 What the latter offers is bite-sized levels, plenty of unlockables, and the classic, albeit repetitive, gameplay that LEGO game fans have grown to love. LEGO Batman 3: Beyond Gotham's story begins with Batman and Robin tracking down Killer Croc within Gotham City' sewers. What follows is a plan hatched by Lex Luthor to commandeer the Justice League watchtower in an effort to make himself president of the United States through force. However, things get more complicated when the nefarious Brainiac shows up, wanting to shrink down the planet Earth for his private collection, which he actually succeeds in doing. It's up to the Justice League as well as the Lanterns and even the villains of the game to team up to restore Earth to its rightful size and glory. a LEGO game, it's serviceable all the same. The game's story is told through engaging cutscenes full of the trademark humor the LEGO series is beloved for. You get funny interactions with a whole healthy heaping of DC Comics characters, both hero and villain, forming unlikely alliances for one common goal. The dialogue is humorous as well, and despite the characters constantly jabbering back and forth to one another during levels, it doesn't get to a point where it's overly grating. That's because the dialogue is pretty much written well. This is no Sonic Boom: Rise of Lyric, so no worries about that! Do I have time to say hi to my mom at home? LEGO Batman 3 consists of fifteen chapters of three levels each. The game is divided up and designed this way to best suit playing on the Nintendo 3DS and PlayStation Vita, so you don't have to invest a lot of time in playing and completing a level. 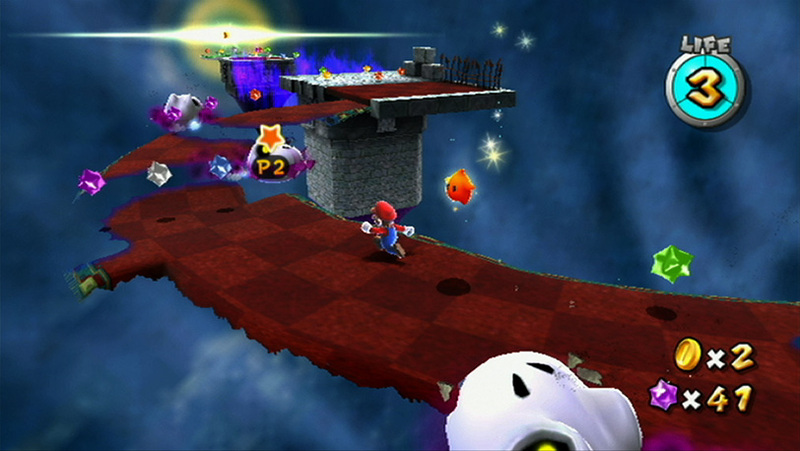 Instead, each level runs about 5-10 minutes for one's first go round in them. Talk to the pole because the mask does not understand! Most levels adhere to the LEGO formula to a "T". There's just a few that rely on on-rails space combat, where you pilot a ship, Batman, or Superman through these aerial-based levels. 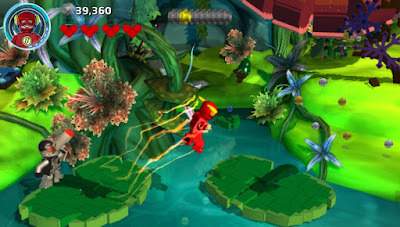 These are enjoyable and break up the otherwise somewhat monotonous gameplay of the more typical levels of a LEGO game. These flight levels are a nice inclusion to the LEGO series. These typical levels consist of beating up enemies, which act more like annoyances that anything dangerous, as you have unlimited lives to work with (combat is also extremely basic like every other LEGO game); destroying LEGO objects that reveal LEGO pieces to build machinery that helps you progress in a level; and switching between characters to best suit the situation. 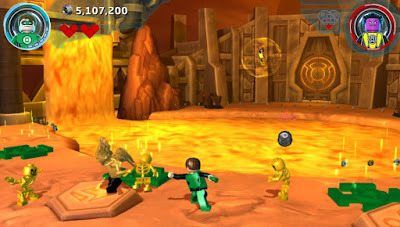 For instance, Superman can use his laser vision to burn through certain gold LEGO objects and obstacles, whereas Batman can use bombs to blow up silver LEGO objects, as well as use one of his many suits to detect otherwise invisible LEGO objects. The Flash shows off how he's light on his feet. 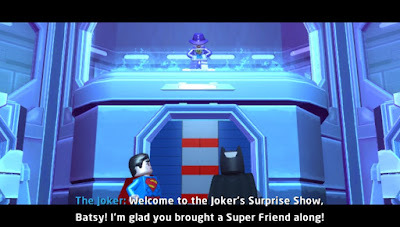 Each level in LEGO Batman 3 contains five challenges that award gold bricks for completing them. The first gold brick is always for simply completing a given level, while the others can consist of earning enough LEGO studs-- the currency of the game-- in a level, defeating enemies with a ground finisher, destroying a set number of Joker-themed objects, discovering a red brick, used to unlock cheats within the game, and finding Joker cards, one in each level, which unlocks a new playable character for purchase with said LEGO studs. On many levels you don't have the correct team of characters to fulfill all of the requirements in a level the first time you play them. 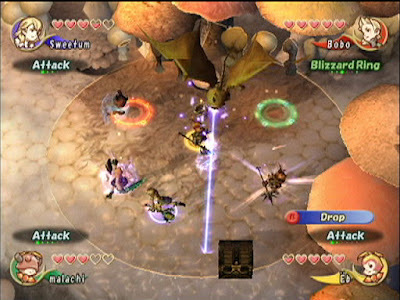 When you go back to it in Free Play mode, you have a wider assortment of characters, such as ones that can fly to reach otherwise out-of-the-way areas and characters that can summon objects at Lantern spawn points. 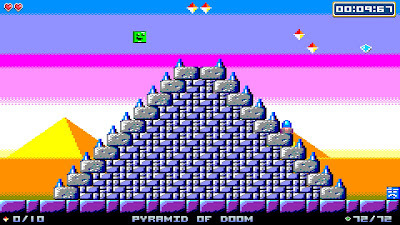 It makes returning to levels worthwhile as there's nearly always something you couldn't get your first time around. 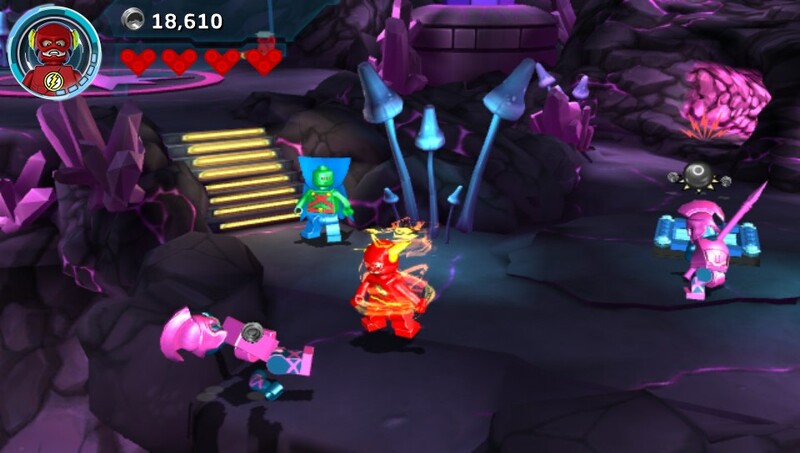 Combat is as super basic as ever in LEGO Batman 3. 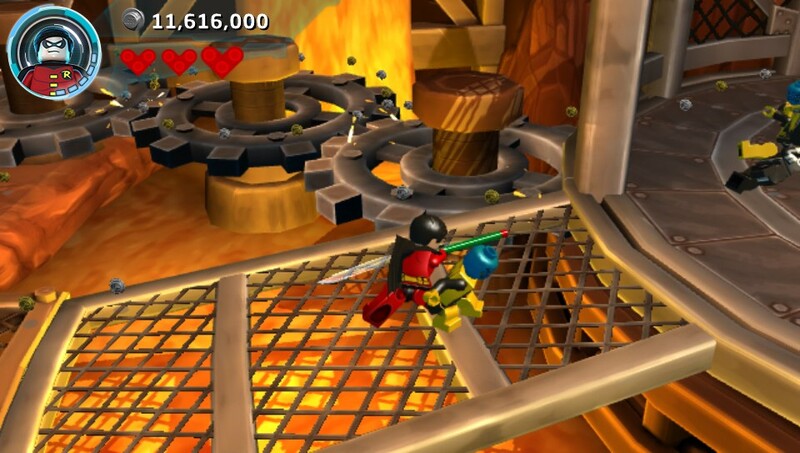 Characters and red bricks earned from unlocking them within levels can be purchased at a special computer in both the Batcave and watchtower level hubs. 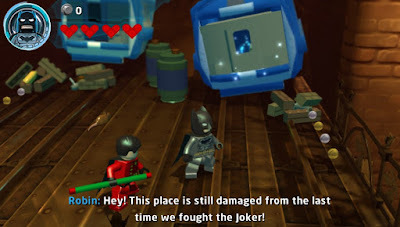 As stated, LEGO studs are used to officially be able to use both unlocked characters and red bricks, offering cheats like stud multipliers, collectible locators, and even a mode where every punch and kick gets the old Batman TV show treatment with "POW!" and "KABOOM!" visual cues. LEGO Batman 3: Beyond Gotham isn't an overly long game. It took me about 15 hours to fully complete it at 100% and get all of the trophies. It's a very easy game to get a Platinum trophy on, pending you don't mind searching for goodies (or a guide, for that matter). 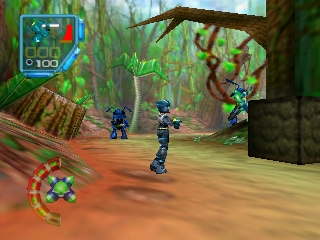 The game suffers from some performance issues, such as slowdown in more action-packed situations, as well as moments where my character got stuck on some of the geometry in the game. The latter happened more often that I would have liked. Other than these issues, LEGO Batman 3 runs admirably. On the sound side of things, the voice work is very much worthwhile stuff, and the music borrows heavily from Danny Elfman's 1989 Batman movie score and John Williams' 1978 Superman movie score. What does this fist taste like? It tastes like Green Lantern justice! When all is said and done, for anyone who has played a LEGO game before, you pretty much know what you're going to get with LEGO Batman 3: Beyond Gotham-- destroying and building objects out of LEGO pieces, battles with enemies that have you going through the motions, and a family-friendly game that is adequately polished to entertain most players. If you're still wanting some much needed innovation in the LEGO game formula, you're going to have to wait for LEGO Dimensions (hopefully). Welcome to a new work week here at SuperPhillip Central! 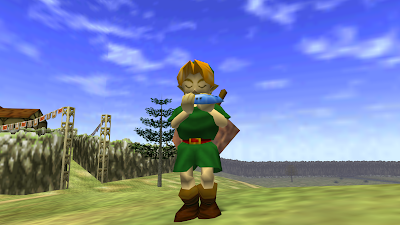 As is customary, I have five new video game music tracks to share on this fine Monday. We're starting the march towards the historic 1,000 VGM volume, and I can't wait to share even more video game music goodness with all of you in the future. For now, we have a nice smorgasbord of VGMs to listen to. 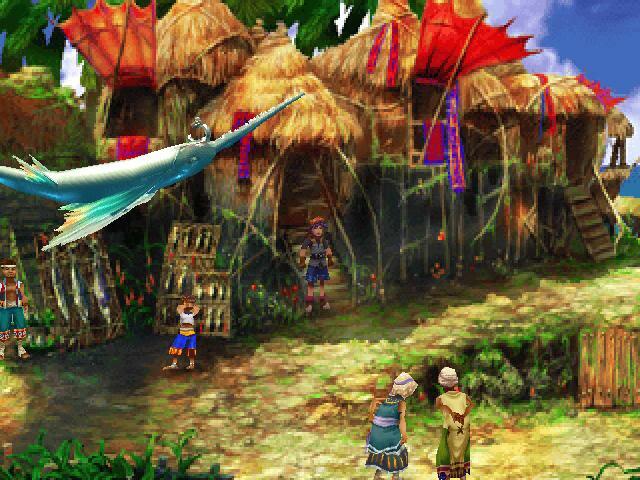 We start off with some Valkyrie Profile, making, I believe, its first appearance on the old Favorite VGMs segment. 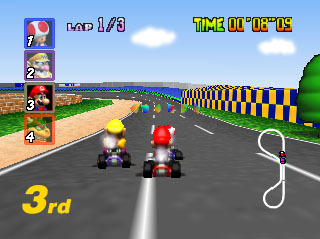 Then we follow that will some Mario and Sonic in the forms of Mario Kart 64 and Sonic Colors! Wrapping things up are two songs, one from F-Zero GX and one from Breath of Fire: Dragon Quarter, also making its debut on SuperPhillip Central's Favorite VGMs! If you're ready to get to the music, let's get to 'em! This edition of SuperPhillip Central's Favorite VGMs starts off with a classic PlayStation RPG series, Valkyrie Profile by Enix. It was well known for its intense combat and lead female heroine. The soundtrack was by the incomparable Motoi Sakuraba, who just so happened to composer one of my favorite PlayStation RPGs Star Ocean: The Second Story. 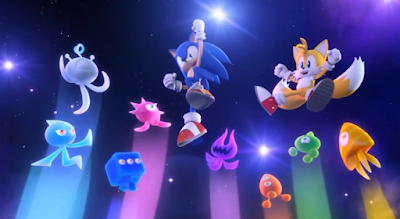 Speaking of cartoon platformers, we have Sonic Colors up next. 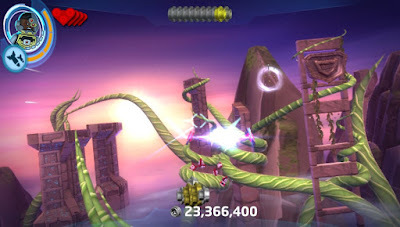 This was one of two 3D Sonic games that are hard to argue that they aren't of good quality in nearly every shape and form. The gameplay was solid, the level design was smartly done, and the music continues to be great to listen to. This final boss theme is an orchestral take on the uptempo main vocal theme of Sonic Colors. 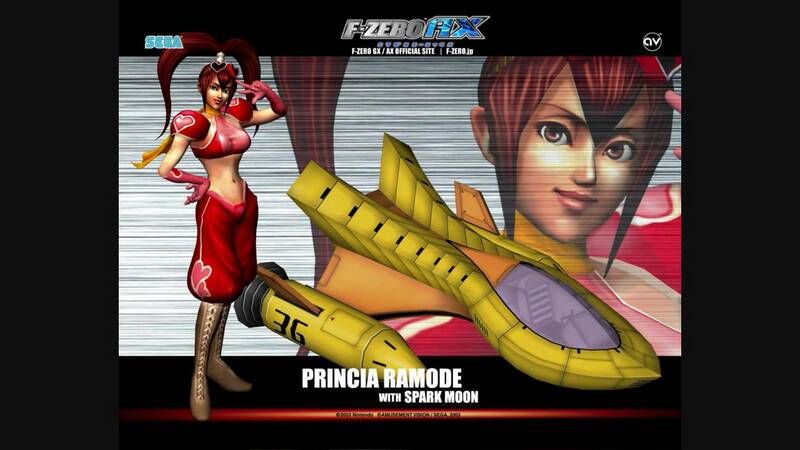 F-Zero GX is a soundtrack of two parts. 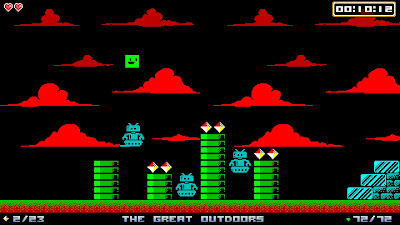 One is heard when in the menus and racing on the intense tracks of the game. The other is heard as each pilot's theme song. There's over 35 pilots to play as in the game, and each has their own theme song, ranging from electronica to hard rock. Princia Ramode, along with Captain Falcon, Dr. Stewart, Leon, and Super Arrow, are some of my favorites. 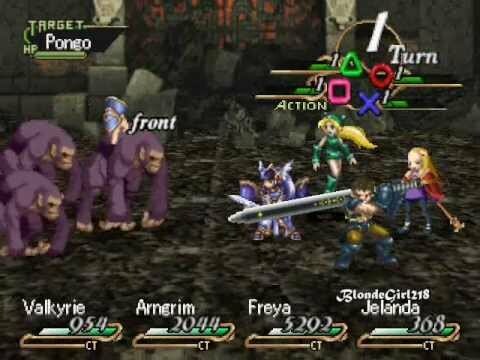 Before the franchise goes mobile with Breath of Fire VI (the jury's still out on whether it will be a worthy entry in the series or not), Breath of Fire had a very atypical entry on the PlayStation 2. 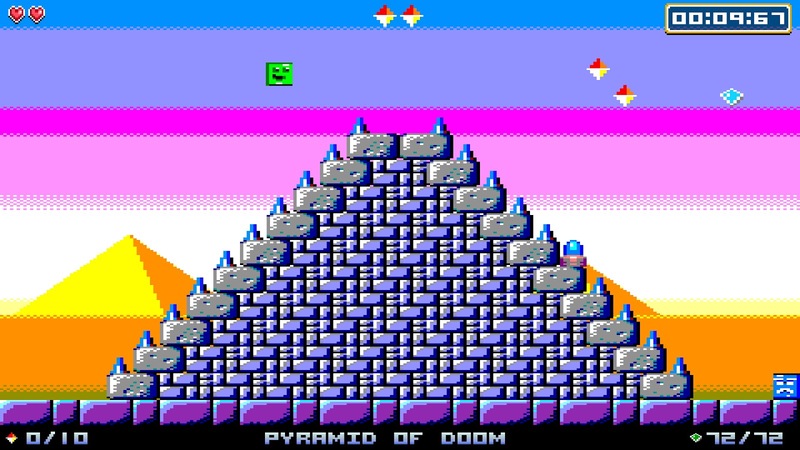 It was a dungeon crawler with a focus on time management. It was quite difficult, too! 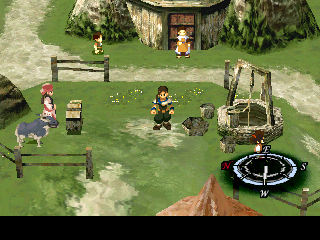 Still, I rate it rather highly along with the rest of the engaging games in this excellent RPG series. E3 2015 is over. The attendees have returned home, the booths are closed and have evacuated the premises, and all the megatons have been dropped. It was an awesome E3 overall-- one that will go down in the history books, for sure. As is customary for me after E3, I have devised up a list of the games from the show that got me most hyped. After you check out my choices, I'd love it if you'd share yours in the comments section below! 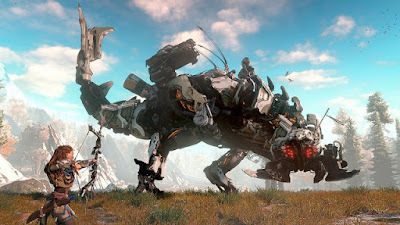 From the minds behind the Killzone series of games, Horizon: Zero Dawn was the all-new IP from E3 2015 that excited me most at the event. It's colorful, and most importantly, it feels like something completely different from the norm. In this post-apocalyptic world, mechanic beasts roam the planet, and it's up to you to take them down as the female lead. It's games like this that helps my decision to eventually get a PlayStation 4 a much easier one. 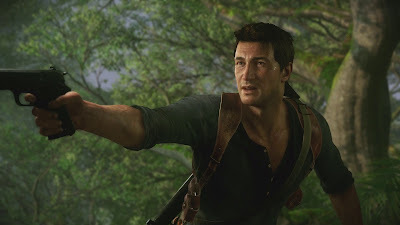 Although the on-stage demo at Sony's press conference suffered from some control issues at the beginning, Uncharted 4: A Thief's End seems like it checks off all the boxes of what I would want from a new gen Uncharted sequel-- gorgeous, jaw-dropping visuals, humongous and eye-popping set pieces, and the trademark wit the series has always possessed. It's going to be a busy 2016 for PlayStation 4 gamers. This year? Not so much. 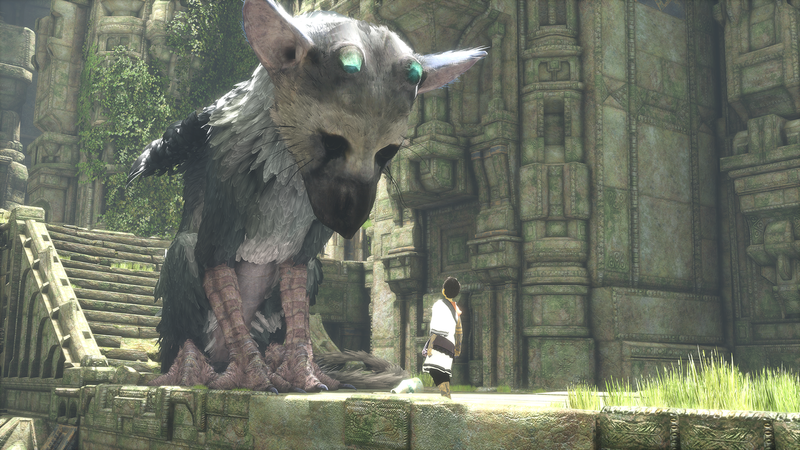 After many gaming events and conferences being MIA, The Last Guardian reappeared this E3. The response was phenomenal, and while the game obviously has evidence of being brought over from the PS3, it still looks mighty interesting to me, offering something that a lot of games at the show lacked-- heart. I eagerly await the day I, along with many other gamers, can finally get their claws on The Last Guardian. Years upon years of clamoring by fans, hints and troll announcements like an HD port of Final Fantasy VII on the PS4 from Square Enix, this past E3 was the official time that a much desired remake of Final Fantasy VII was finally announced. While I don't hold the original to a high esteem like many fans, I do appreciate it for what it did to the JRPG genre in the West. I look forward to seeing how the remake progresses, what changes, if any, are made, and what decade I can look forward to actually playing it. 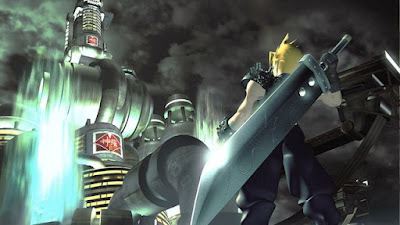 While many Final Fantasy fans got hyped for the Final Fantasy VII remake (and understandably so), the biggest amount of hype I got towards the series was the chibi-styled World of Final Fantasy, a spin-off featuring collectible monsters, an altered active-time battle system, and a soundtrack of new and remixed songs by Masashi Hamauzu. 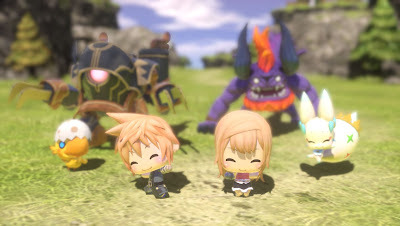 The news that the game is also hitting the PlayStation Vita got me only more hyped for the game. We saw a snippet of gameplay at E3 2014, but this year we saw a full healthy heaping of delicious gameplay at Square Enix's press conference. 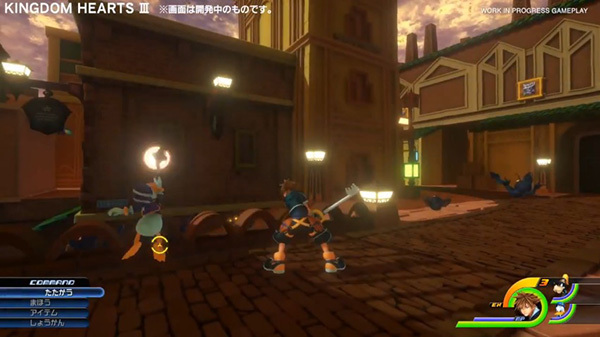 Kingdom Hearts III looks absolutely divine, sporting colorful worlds, intense and free-flowing combat, and all the love from the developers that you'd expect to poured into a Kingdom Hearts game. This might be another example of a game that'll suffer from delay after delay, but as long as I keep being fed new gameplay, I'll put up with it! 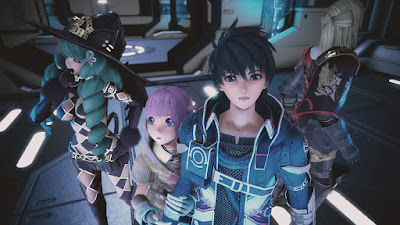 One of my favorite JRPGs of all time is Star Ocean: The Second Story (also available in port form as Star Ocean: Second Evolution on the PlayStation Portable). I also enjoyed the third entry, Till the End of Time, which released on the PS2. 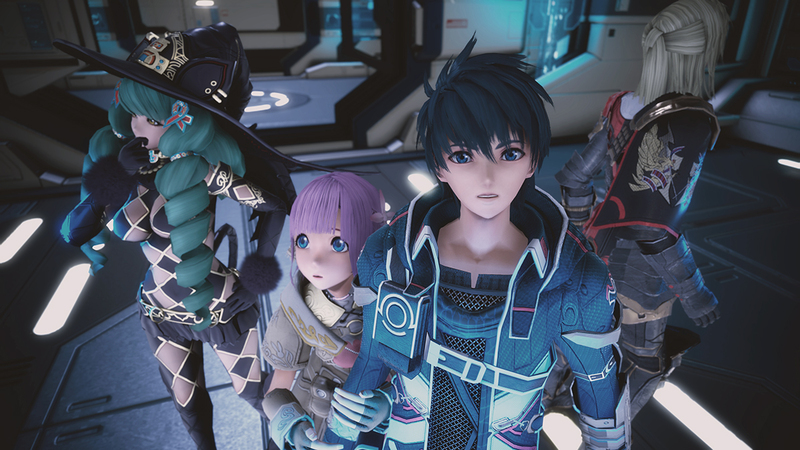 I skipped the fourth game due to scathing reviews by both critics and fans of the series, but the fifth Star Ocean is set to right many of the wrongs past games contained. Offering battles with more than six party members and a score by the great Motoi Sakuraba, I shake with anticipation to learn more about this most likely epic RPG. 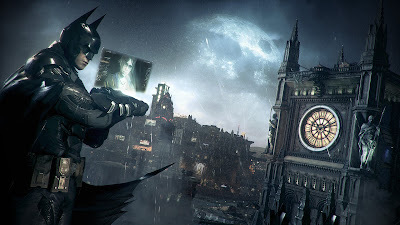 This is the main game that makes me wish I had a current gen system other than the Wii U. Batman: Arkham Knight is the final chapter in the Arkham series, and I cannot wait to see how it ends. I already know the game will be of excellent quality due to the masters at Rocksteady, so all I really need to know is when I'll be able to afford either a PlayStation 4 or Xbox One to play it on! My favorite PlayStation franchise returns to the forefront of gaming with a new movie and a new game next year. 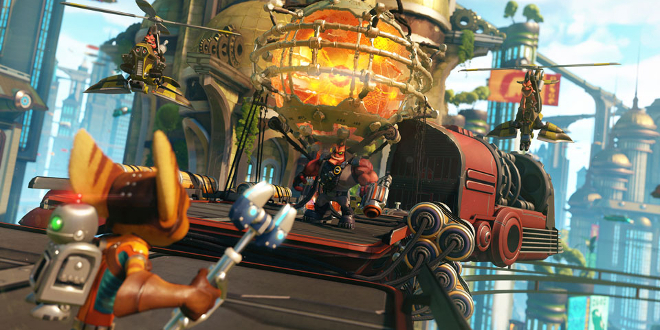 Ratchet & Clank isn't necessarily a remake of the PlayStation 2 original. Instead, it's more of a re-imagining with new and returning planets and set pieces, new bosses, and a familiar cast of characters. The game looks so darn beautiful, almost like a Pixar cartoon in quality. If there is one game that would make me get a PlayStation 4 upon release, it's Ratchet & Clank. 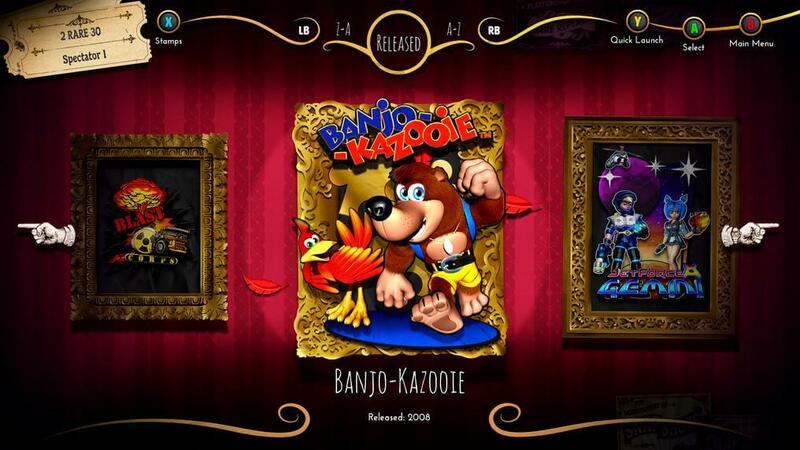 I consider Rare Replay one of the best deals in gaming history. 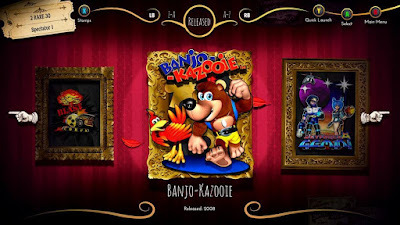 You get thirty Rare classics like Battletoads, Banjo-Kazooie, Perfect Dark, and Conker's Bad Fur Day for only thirty dollars. Hopefully we'll see Xbox One owners pick this compilation of classics up, as it's one heck of a steal. As someone who has a genuine interest in creating games, Super Mario Maker seems like terrific practice to design some (hopefully) killer levels to test my own abilities to create and players' abilities to beat my (once again, hopefully) creative concoctions. With so many options available to creators, Super Mario Maker appears to be the real deal when it comes to level creating and level sharing. 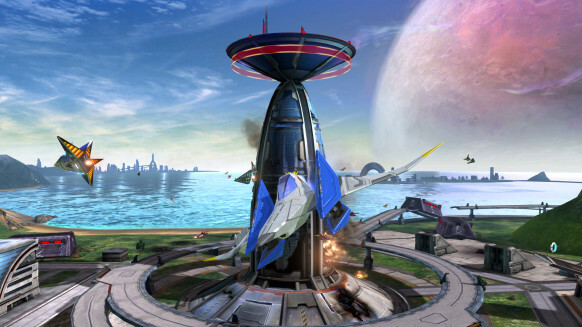 Though not looking in appearance as a visual beast, the space combat and ability to transform one's Arwing into a land trotting vehicle makes Star Fox Zero highly appealing to me. Star Fox is one of my favorite Nintendo series, and I cannot wait to see what Platinum Games has in store with the campaign outside of what was seen by attendees at E3 2015. Reggie Fils-Amie was mentioning something about not revealing games that were more than a year or so out. Yoshi's Woolly World proves he's mistaken, as the game was revealed last E3 and still won't release until this October. 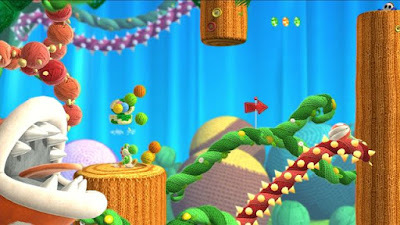 Still, I think the wait will be worth it, as this looks like the best Yoshi game since the original Yoshi's Island. 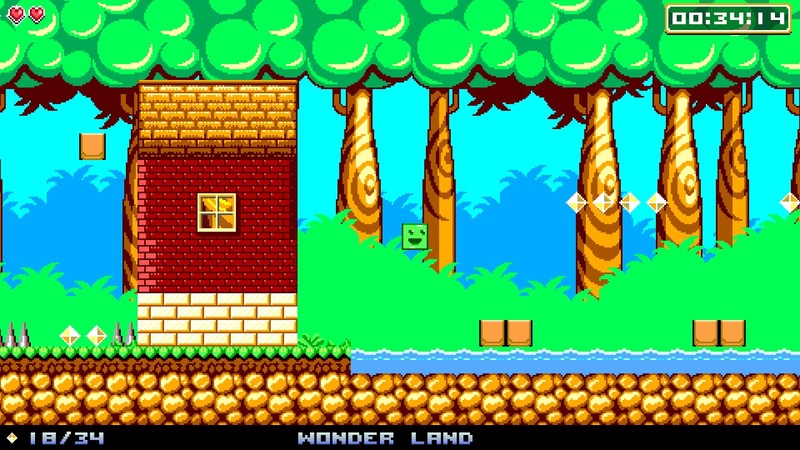 That might not be high praise, but it looks like it will rival the SNES classic in entertainment and clever level design. I'm eager to finally get my hands on this game this October. You lucky PAL gamers get next week. Similar to Four Swords as it is a multiplayer-focused Zelda game, The Legend of Zelda: Tri Force Heroes premiered last week at E3, and it blew me away. 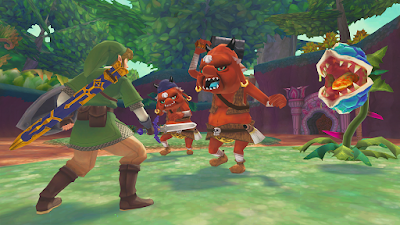 I adore the A Link Between Worlds art style, supporting such fluid animation, the creativity of the designers by making a game for three Links to team up in various costumes to achieve one goal. Supporting local and online play, as well as a single-player mode, Tri Force Heroes seems like a grand game for the holiday season. 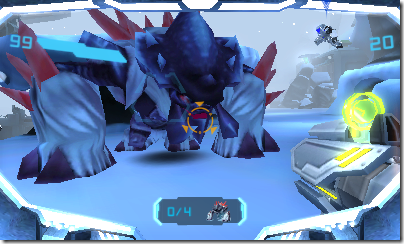 My reaction to Metroid Prime: Federation Force wasn't nearly as bad as others. I certainly don't want to sign a petition to see it cancelled, but I can understand the disappointment in the first Metroid game in over five years being something totally different than what fans were expecting. Still, this game looks like it'll scratch an itch I've been having with the Nintendo 3DS's library, and I trust Next Level Games greatly with their talent and skill in making fun games.